Professor G.Keller of the University of Miami Frost School of Music, offers insights into stylistic flexibility and universal principles of saxophone sound and technique gained from 40 years of teaching. 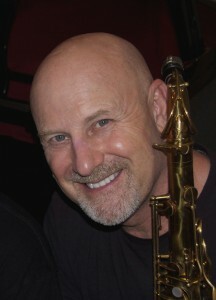 Saxophonist Gary Keller has enjoyed a forty year career performing and recording with his own band and a multitude of jazz artists, including The Jaco Pastorius Big Band, Maria Schneider, Jim McNeely, David Liebman, Brian Lynch, Vince Mendoza, Manny Album, Kenny Werner, Billy Hart, Chico O’Farrill, Kenny Wheeler, Clare Fischer, Woody Herman. He has also performed and recorded with the Florida Philharmonic, New World Symphony, and the American Jazz Philharmonic. His debut CD “Blues For An Old New Age” on Double-time records garnered critical praise, including a near perfect rating from the Penguin Guide to Recorded Jazz. Gary is Professor of Saxophone at the University of Miami Frost School of Music faculty since 1982, and is also the founder of the renown Miami Saxophone Quartet. “Clinical Pearls” is a phrase used in medical education to describe elements of wisdom gained from successful clinical experience passed on through the oral tradition. In this clinic Gary Keller will offer insights gained from his own performing experience as well as from 40 years of helping students improve their saxophone playing. Understanding the acoustic principles of the horn and how it interacts with the player’s anatomy is the key to achieving accurate intonation, articulation, and an individual sound in any style. A live demonstration, handouts, white board diagrams, and possibly a live mini lesson with a volunteer student will bolster Keller’s “pearls.” Specific exercises presented will target improved tone production, intonation, articulation, and technique. Dogma that perpetuates difficulty will be debunked and exercises proven to achieve improvement will be presented. The how and why of each exercise will be examined in order that the causes of problems are understood, and how specific actions encourage improvement.